Two men are facing drug charges after RCMP seized 20 kilograms of marijuana at a vacant Winnipeg business. Police searched the business, located in the 500 block of College Avenue, in the city's North End, just after 6 p.m. Wednesday. 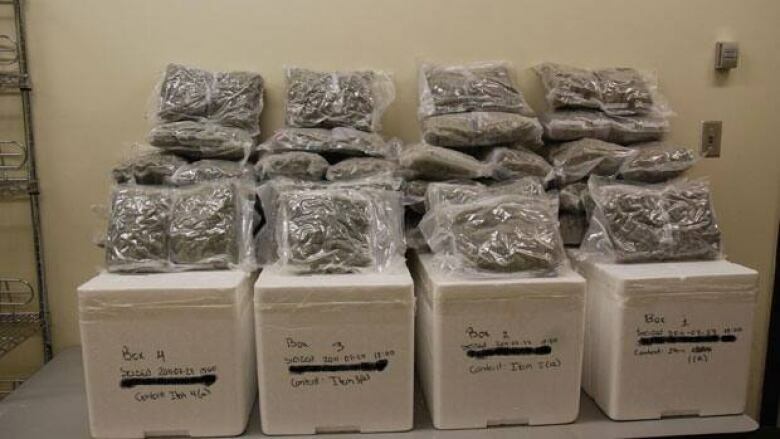 The marijuana seized has an estimated street value of $90,000, RCMP said. The men, a 37-year-old from Brandon and 33-year-old from Winnipeg, are both facing charges of possession for the purpose of trafficking and trafficking. The 33-year-old is also facing charges of breaching an undertaking.